Phase 2 of The International is now well underway, with many more games being played throughout the night (our time). Yesterday’s games really mixed up the group standings, showing that the Chinese are looking to be dominant this year. It was an interesting day really. 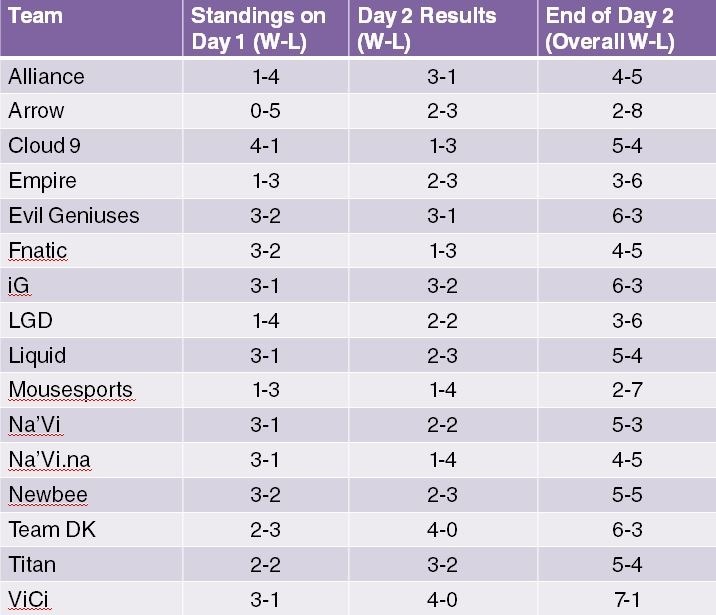 I even took the time to make this incredibly detailed (and hopefully accurate table) so a quick glance should tell you who performed really well on Day 2 of Phase 2. If your table reading skills are as bad as my table-making skills, let me highlight some things for you. Team Dk and ViCi had really good days, clocking in 4 wins each without any losses. Its worth noting that DK had a relatively average performance on day 1, so this is the boost they needed. If you remember correctly, I chose DK as my second favourite team, so I’m quite happy with their turnaround. My favoured team, Navi, had a pretty average performance, winning 2 but also losing 2. They are still in a really good place though. Team Liquid, the Wild Card team that shocked everybody after their first days winnings, were a little less overwhelming the following day, winning only 2 games but losing 3. Alliance, last years champions, looked poor on their first day, but they pulled some momentum back, winning 3 out of their 4 games. 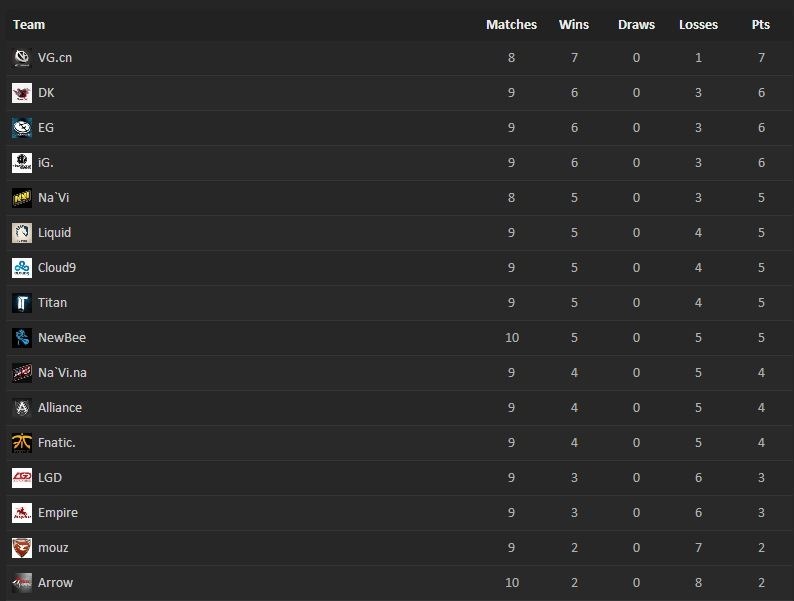 Cloud 9 dominated on their first day, topping the entire table, but they were disappointing on day 2, losing 3 games and only winning 1. These are just some of the changes that stood out for me. If you’re a tl;dr kind of reader, the overall table below (via GosuGamers) will tell you all you need to know. One big thing that has stood out from just about all the games I have seen is that Skywrath Mage is now a really hot pick. I get that he is a strong hero, but it still boggles my mind how now all of a sudden he is the hero to have, when he has been there, unchanged, for a very long time. Bah, Meta right? 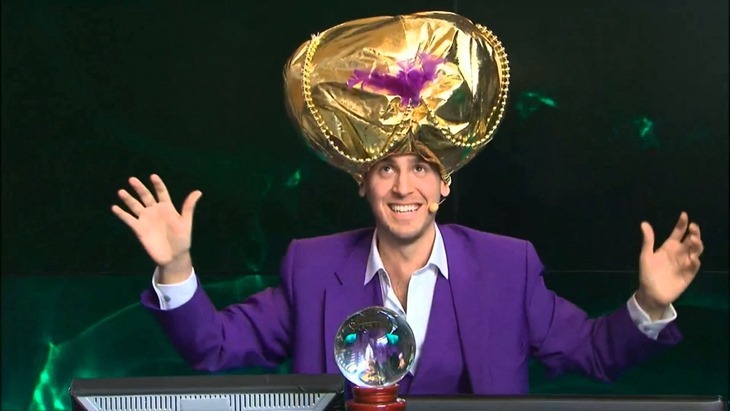 Remember, if you’re new to Dota 2, you can watch the games with casters who talk about the basics instead of the stuff that only experienced Dota 2 players would understand. Phase 2 continues tonight, with the first game kicking off at 6pm, and games going on till about 6am in the morning. How are your favoured teams doing? Are they in the place you expected them to be?